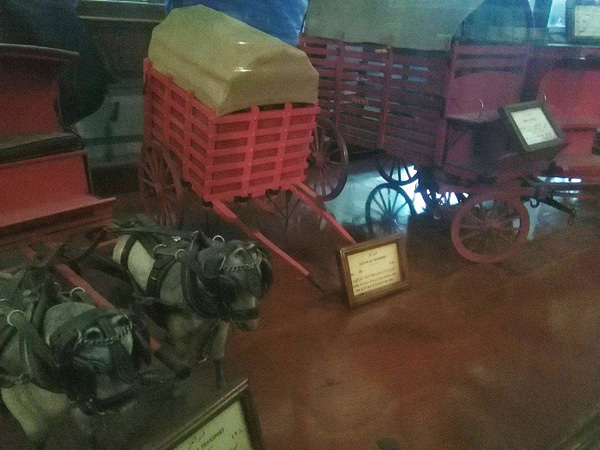 For those curious about the historical gems to be found in downtown Cairo, who better than the antiquities ministry to show you around? Ahram Online joined a walking tour led by ministry representative Nasser Mansour, and run by the ministry and by Arabesque Designs and Art NGO, which took us around included the Postal Museum, the National Theatre, El-Kekhia Mosque, and a few other historical sites found in the vicinity of Attaba Square. The minute you climb up the gorgeous stairs of the Postal Museum, you see a statue of the postman in his traditional uniform and then you hear "bosta!" (post!) the traditional cry of the Egyptian postman in the street, which in past times would see windows open and residents crane their heads to find out if they had mail. On entering the huge museum building in Attaba Square, you have to step upon a marble star motif in the centre of the floor. This is point zero or kilometre zero, the location chosen in a city as the starting point of all measurements. 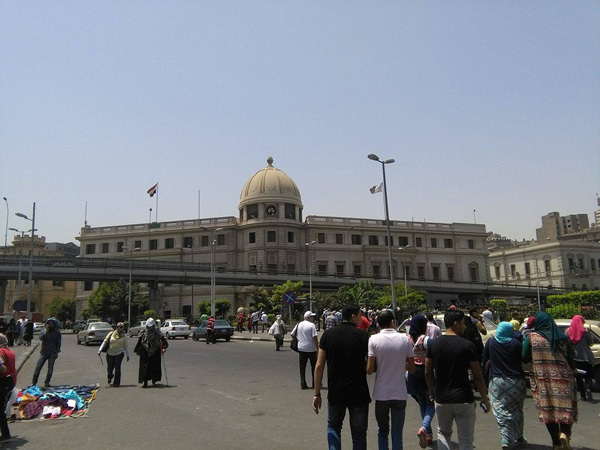 Like, Paris, Cairo had its marble star in the heart of the postal museum building, in 1 Abdel-Khaleq Tharwat Street. The grand staircase leads you up to the history of mail, step-by-step. 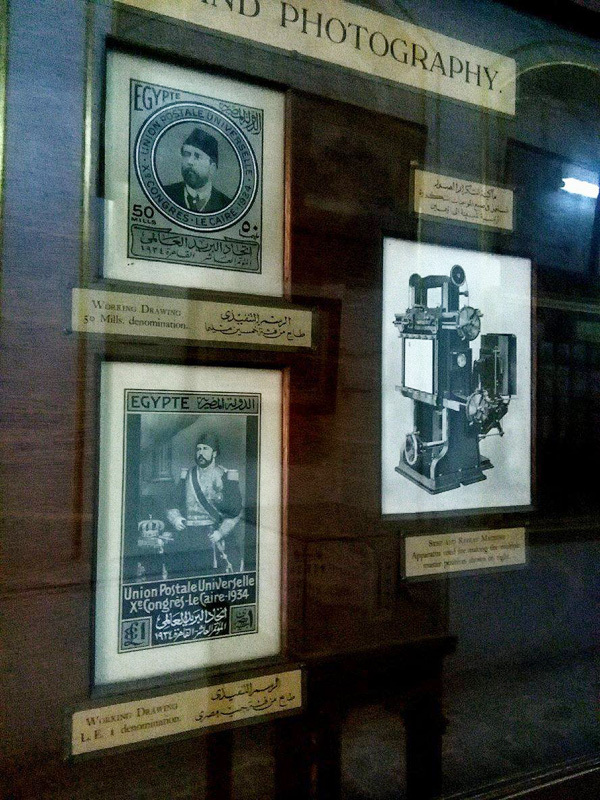 The Egyptian Post Museum takes its visitor through the history of letters themselves, and the tour takes you from the very beginning, in the main hall. The ancient Egyptians were among the first to use letters, and an ancient letter is on display. Unfortunately time has washed away the words, but the papyrus still bears witness to the era. 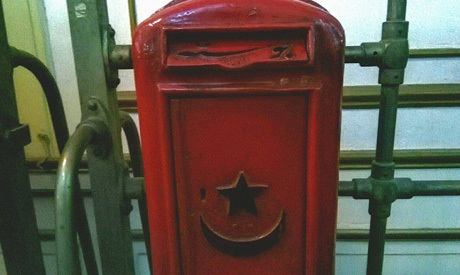 The post in its modern, professional form was implemented in Egypt by two Italian partners, Tito Chini and Giacomo Muzzi, who founded the “Posta Europea" mail office, and by 1855 it had branches in Cairo, Rashid, Damanhour and Kafr El-Zayyat. 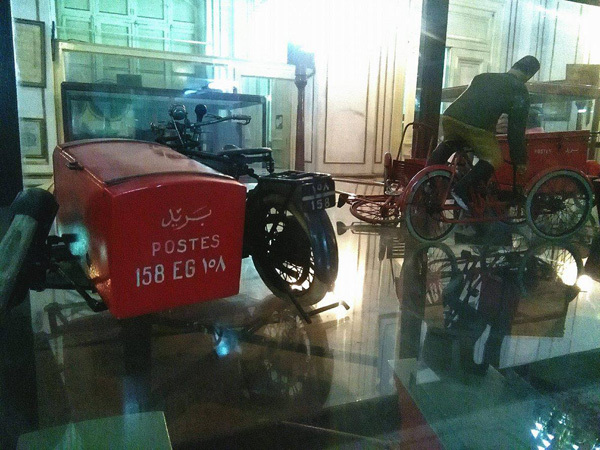 The word “bosta” in Egyptian Arabic therefore comes from the company's name, and was always associated with the postman. 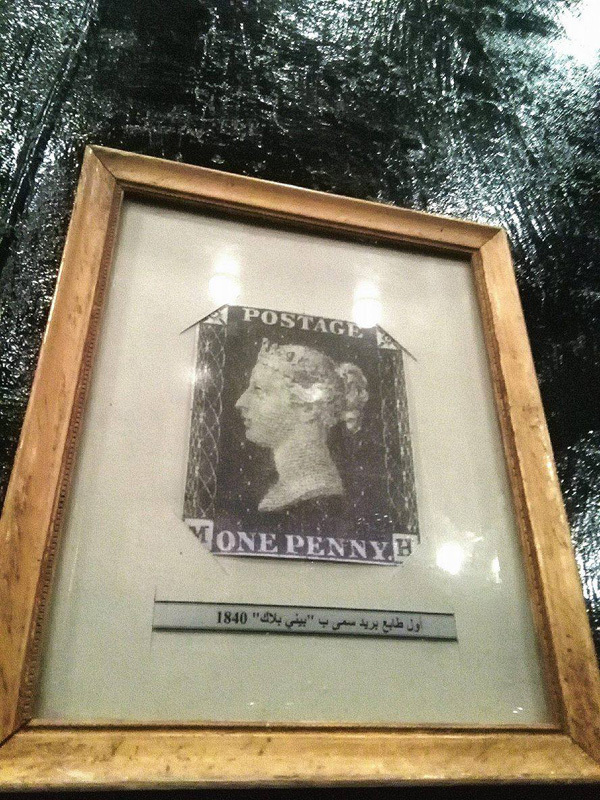 In October 1864, Khedive Ismail bought Posta Europea from its owners and made it Egypt's official post office. He made one of the heirs of Muzzi (who was running the business) the general manager. 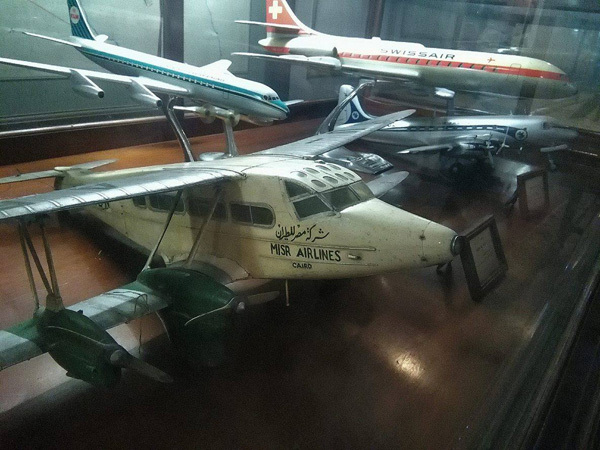 The next window displays how the post was transported, from the time of pigeons, to carriages and cards, to the time of aeroplanes. 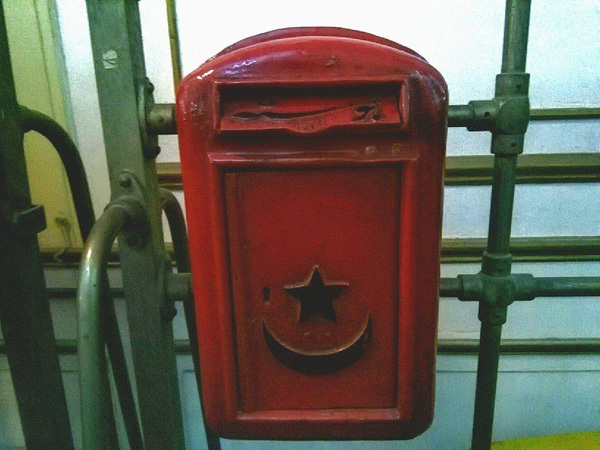 Even the traditional red metal mail boxes are depicted, reminiscent of a different age and all the human history that was carried within them. The statue of the postman in his traditional uniform waved us goodbye as we stepped into the adjacent room, or the vault of stamps, as I chose to name it. 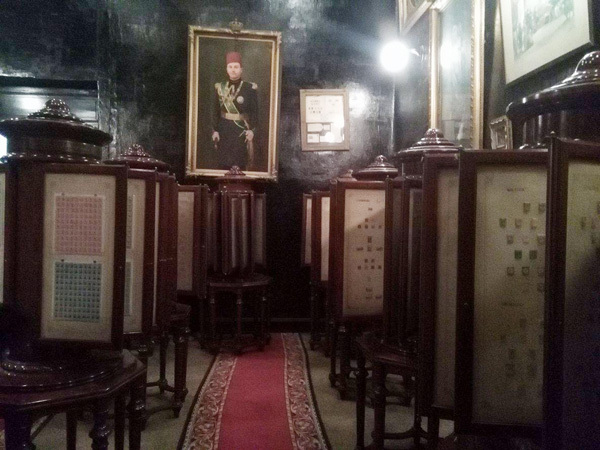 The walls of the historic room are panelled in dark wood, and decorated with life-size portraits of the Egyptian royal family from that age. Also on display are a range of stamps and the metal plaques that are used to make them, as well as a rare copy of the world’s first stamp. 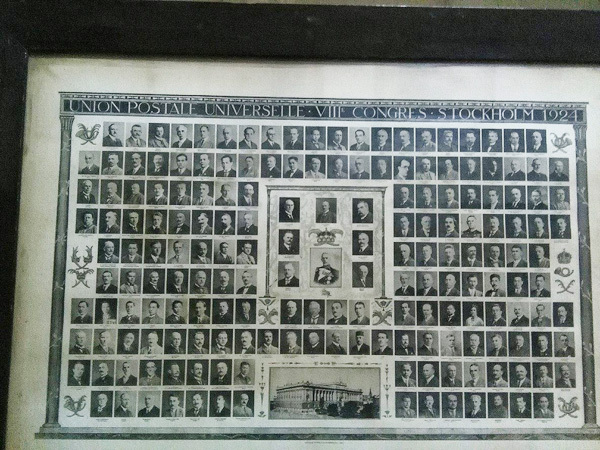 There is also a group picture of the participants of the world's first global post conference, and it is worth mentioning that Egypt was the only Arab or African country that attended this conference in 1924.